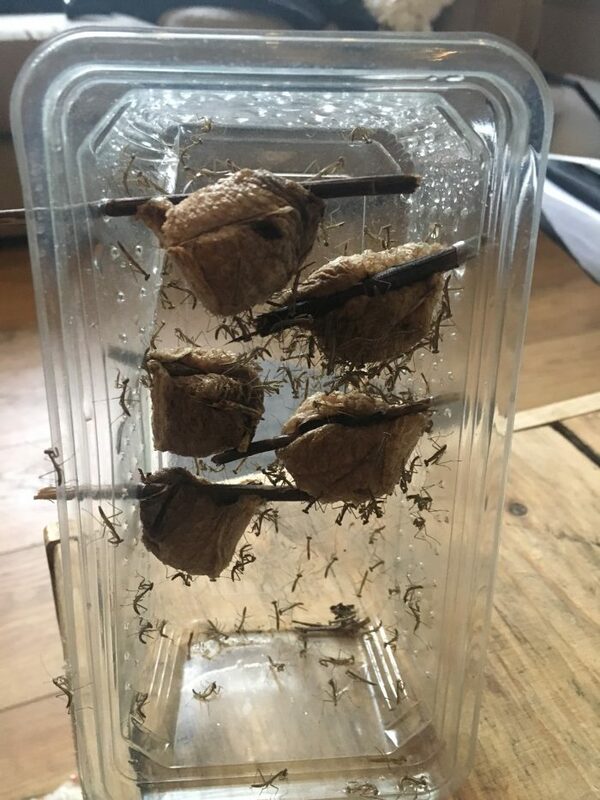 This week seems to have been nice and productive, with another Ootheca hatching – this time of Chinese mantis (Tenodera sinensis). These have impressive hatching numbers, up to 150 from each ootheca. Unfortunately I have previously found mortality rates from these oothecas are fairly high, so will probably loose around 50% of the nymphs. 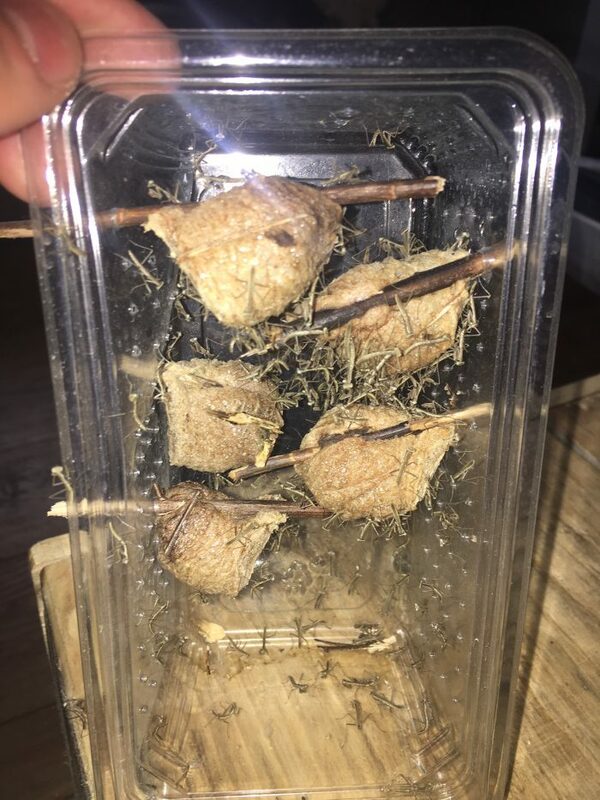 But Chinese mantis are a ferocious species, so shouldn’t have any problems with them taking to fruit flies after a few days.